Sale Start Date: enter the starting date of sale for the present tour. Sale End Date: enter the ending date of sale for the present tour. Deposit payment options: Choose payment methods for deposit: percentage of the tour price, the amount of deposit, no deposit. Depending on the tour, you should choose an appropriate one. 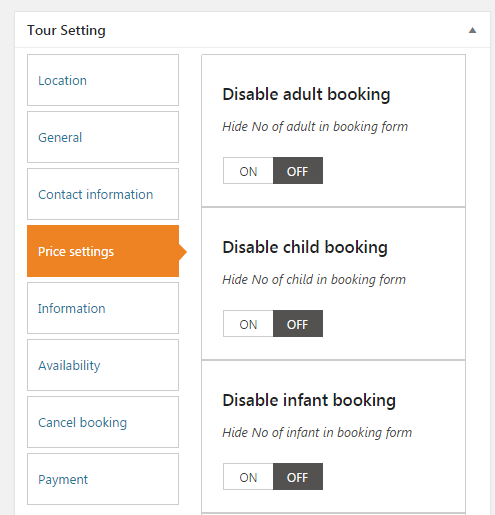 Start time : Allow you can create a tour with multiple time. Depend on the tour to add time.